I am grateful to see the Bill and Melinda Gates foundation identify three myths that affect the global poor. I will clarify the first myth–providing additional insights. If our goal is to end global poverty there are two things that we must do, unfortunately both are not included in the Gates Letter. We must increase global energy consumption and we must increase individual liberty. I provide a technical justification for cryptography and nuclear energy as paired solutions to end global poverty. I also show how these are fundamental drivers for human progress. We begin with the global income distribution. Examining the chart we see that the income distribution in 2000 is . where and . When we look at that transition of the income distribution from a mixture to a non mixture we should take great solace. Globalization and global communication united the world. As Hans Rosling says, there is no us and them there is we. In a previous post, I hypothesized that the world reached an equilibrium state. This figure when in consideration with the entropy of the United States shows our world clearly as being in equilibrium, . Figure 2. United States entropy from 1990–2012 using various deflators. Getting back to the global income distribution, we need to consider Adam Smith’s statement that “[w]herever there is a great property, there is great inequality”. We see that globally we have a great property and that as a result we have inequality. I am of Smith’s mind, that inequality is. It does not in and of itself carry a value judgement. If we apply a normative value that everyone should have the same income we see that we destroy wealth, property and freedom. I derive these consequences in Various Properties of the Log–Normal Distribution. Let me say this again just to make sure that you heard correctly. We see that for any given that entropy is maximized by . Our global in 2000. This suggests some stark realities that we face. First is that our global carrying capacity is structurally suppressed, based on observed trends in society, I think this is best explained by reduced economic freedom globally. There are various explanations as to why, but it all comes back to government intervention in our lives. Government is an entity that is logically independent from the governed, formally government is orthogonal to the people around the globe. Thus government can act on society exerting force (literal and figurative) on the citizens. Such forces can only exist outside of the system being observed, which is why I reach this conclusion. Said differently, people will act to maximize their freedom given the constraints that they face. Government, by definition, is a constraint on society. There is a reason why liberty is now a global issue and why we are seeing revolutions and rebellion around the world. The world’s population wants government wants as it can use the entropy difference to extract wealth from society. It is, as it always was, about control. Rawl’s philosophy formally justifies . While this gets us in the direction towards it does so at the expense of our liberty. Rawls’ philosophy (progressivism) and that of our current governments (conservativism), are fundamentally limited, both resulting in lower overall societal entropy. After we acknowledge the canonical trend of , we are left with one alternative for increasing entropy, increasing average global income. Governments around the world recognize this which is why they print so much money. Don’t be fooled. increasing the money supply without actually increasing individual productivity, actually is a net harm to society cooling individual action. It is theft at the grandest scale. Armed with that understanding we need to answer, “how do we increase individual productivity?” First we need to understand the natural constraints that we face. Our world is governed by the laws of thermodynamics. If we want to increase the amount that we do, we have no option other than to increase the energy consumed by society. This is a first law statement. We can make second law (efficiency) improvements, but these are limited by our knowledge, materials and capital; only resulting in marginal improvements. 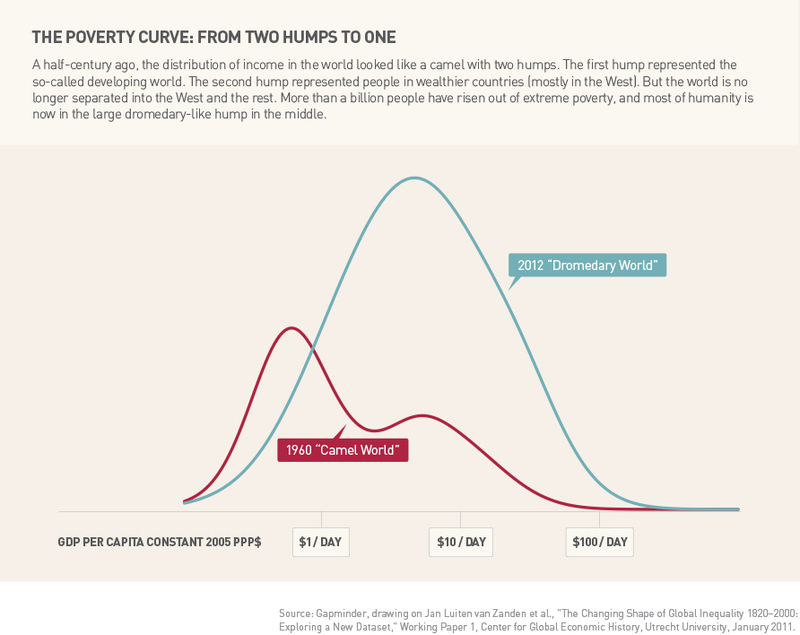 Let’s provide a lower bound for the amount of energy we need to raise average global income from the $5.6/day (2000 dollars) to say $56/day (2000 dollars). Because of the second law we know that we have to supply more energy (heat) than is needed to increase the useful work output. Part of this is necessary to overcome hysteresis (stable dynamical systems tend to resist change). We assume the lower bound of energy needed to increase global wealth a factor of 10 to be a factor of 10 from what it was in 2000. In 2000 the 6 billion people on the planet consumed 120 PW-hr, or 20 MW-hr/person. For a global population of say 10 billion with an average daily income of $56/day (2000 dollars) the world would have to consume 2,000 PW-hr every year! To provide context to this number, in 2008 the world consumed 117 PW-hr of fossil fuels, which is just off the peak fossil fuel consumption of the world. 117PW-hr/year is a daily consumption of 190 million barrels of oil equivalent (MMbbloe/day), or 68 billion bbloe every year. Scaling fossil fuels to be 82% of a global energy consumption of 2,000 PW-hr/yr is one trillion bbloe/yr. This scale of energy consumption is not possible for fossil fuels. If it is not possible for fossil fuels then it is certainly not possible for renewable energy. We have one option left, nuclear energy. Assume for the sake of argument the entirety of the 2,000 PW-hr/yr comes form nuclear. How much uranium is needed? Not as much as you might think, 300,000 metric tonnes of heavy metal (MTHM). Known reserves of uranium total 5 million MTHM at <$130/kg. This is terrestrial energy with conventional mining in existing mines. Once price increases far enough there are billions of tonnes of uranium in the oceans. We have thousands of years of uranium available and as much if not more thorium. Accessing the fuel needed to sustain humanity, support global population, and increase human wealth is not a problem. It never was a problem, nor will it be a problem for any foreseeable future. If we want to make the poorest amongst us (globally) as rich as the global mean, we need as much power every year as humanity ever consumed in its entire history. We have the capability to access that power today! I think the term of a “Nuclear Renaissance” is quite fitting. I talked about humanity at the cusp of a second social Renaissance due to recent cryptographic advances. As I understand the world cryptography and nuclear power are going to be the fundamental drivers of humanity. They will end this neo-feudal fossil era. We live in interesting times. I had a random idea a while back and decided to chase it down. I saw that Gibbs method of statistical mechanics relies on operations of certain distribution functions, like the Gamma distribution or the Normal distribution. In my work I kept on coming across the Log-Normal distribution. It is everywhere. So I decided to have a look and see what I could derive. While I did this for the Log-Normal and Gibbs did it for the Gamma and Normal distributions, this approach is applicable to any other distribution. Theory is no good unless you can test it and see it in our data. So I tested it on income distributions, reported in the the attached paper, bitcoin transactions (work in progress), and radiation exposure to cells (unreported work). 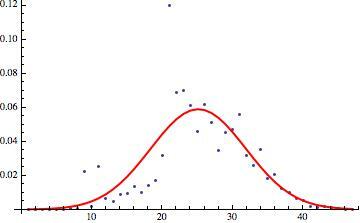 In my work, I derived the Cobb-Douglas function as a property of the Log-Normal distribution. Yesterday a friend tweeted a link to a blog The entropy of nations. If you have not read it I suggest you do. The author identifies maximum entropy as Adam Smith’s “invisible hand”. I emphatically agree with his analogy. The tendency towards maximum entropy is seen in the process of price discovery it is the invidible hand that drives arbitrage. His work motivated me to finish mine and with a boring and non descriptive title to boot! Various Properties of the LogNormal Distribution. Can you say math fun? The policy stuff is in the last section if you are so inclined and the mathy stuff is in the front two sections. I found income distributions obey the second law of thermodynamics. This is great news! The bad news and what inspired my evocative title is that while we can propose policy and develop theories that say it will work, that no quantity of ink or PhD’s is going to change the second law. If you are not aware that it applies, so well. There is a chance you got the theory right, but its just not very likely. I had a Commanding Officer tell me, “Cal, Hope is not a plan. A plan is a plan.” Wise words. He left out that my plan actually better be possible. Hope as a policy is wishing for unicorns. That is my best description of any progressive policy, wishing for unicorns. It explains why what we get isn’t what we were sold. Somewhere along the line reality hit. Here to any progressives that follow me or stumble across this blog, there is my gauntlet laid at your feet. I invite your responses. Theft is a strong word. It requires two things, desire and a lack of consent. One party desires something from another and takes it without their consent. Simple. My current project is developing an understanding of macroeconomics based on a formal aggregation of microeconomics. I did not anticipate the understanding that I found. This last weekend I worked on understanding claims against wealth inequality. I began by looking at the distribution of income derived form the Average Wage Index (AWI) from 1990-2012. 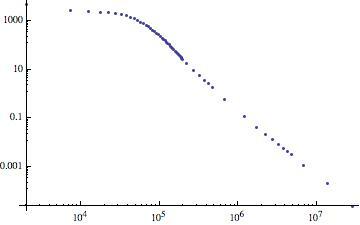 Plotted on a Log-Log scale the distribution appeared to follow a canonical distribution Figure 1.